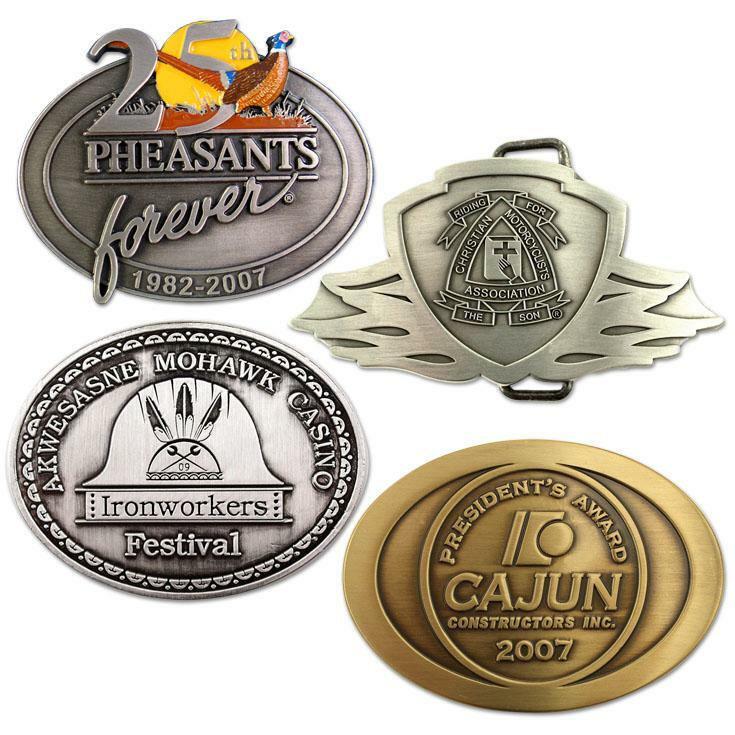 Custom Die Struck Belt Buckles offer wearable recognition. Ideal for recognition, membership, transportation, safety or corporate branding. * Die struck brass belt buck in your custom shape. * Reproduce the most intricate designs in 2-D or 3-D high relief (QUR). * Price includes choice of 5 different finishes: bright nickel, bright copper, black nickel, antique brass or antique copper. Other finishes QUR. * Optional soft or resin enamel color fill. Free PMS color match. Call for pricing on 3-D die service charge.